I grew up with Scoopy's Straws. 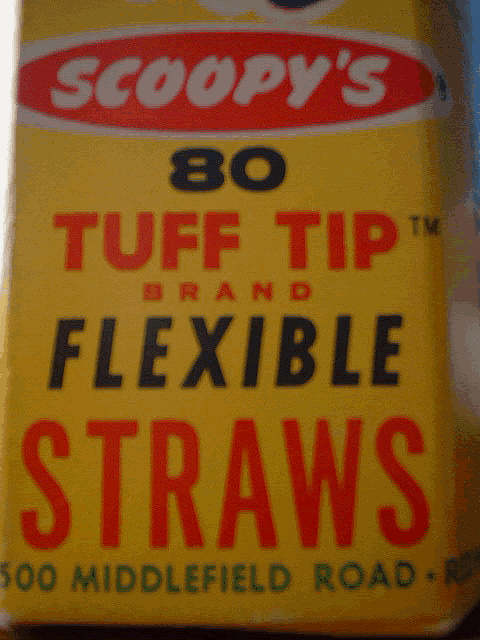 To be accurate, "Scoopy's® Tuff Tip™ Brand Flexible Straws". I was born in 1959 in Redwood City, California. 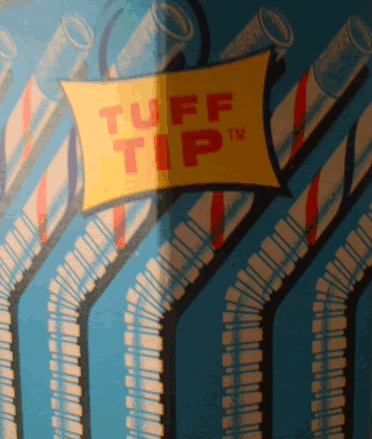 There was always a box of Scoopy's Straws to be found in our home. I took them for granted - the box was always replaced when the last box ran dry - Scoopy was a fixture in that one spot in the corner cupboard. Even as an adult, though there was little need in my life for flexi straws, there were always a few rows of octagonally shaped Scoopy's Straws boxes neatly lined up on a shelf at any grocery store i found myself in - frequently found in the ice cream aisle, along with Scoopy's Cones, which ruled the frozen confectionary cone roost. Even just a couple of years ago, my wife would buy Scoopy's Straws from time to time.. But no more. Scoopy's Straws seem to have disappeared. We had noticed their absence about a year and a half ago (back in 2002!). Bland, store-brand straws took their place. Intrigued, I recently went on a search for them at local stores, to no avail. 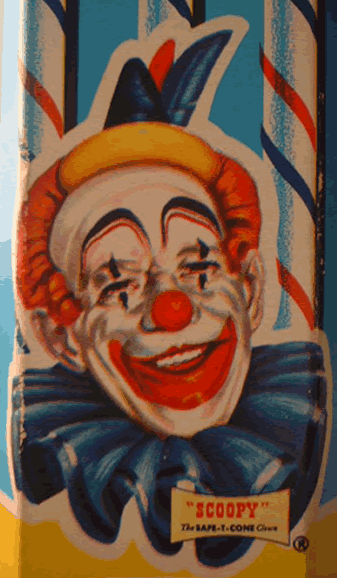 Raley's, Safeway, Albertsons, Longs, Rite-Aid, even the dreaded Wal-Mart, all bereft of the Safe-T Cone Clown. Safe-T Pacific Company manufactured Scoopy's Straws (more on that later). But that's all I could find. Richardson Foods is barely represented on the net - it may or may not be Baldwin-Richardson Foods, the only specifically named manifestation - but certainly no mention of Scoopy's Straws attached. No mentions on the Quaker Oats website. 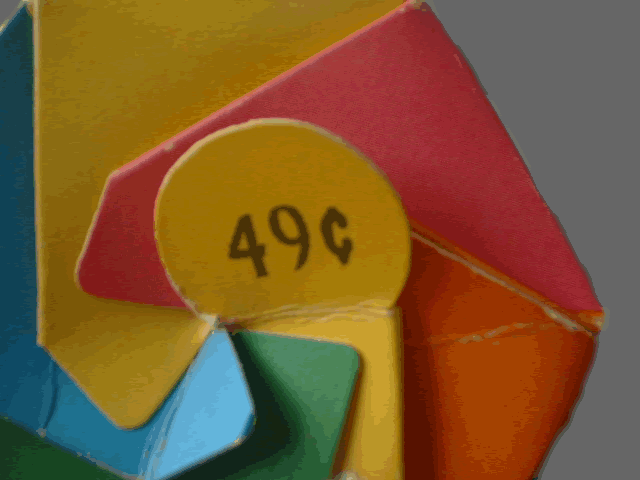 No mention on the Joy Cone website. No Joy to be found. I could not have hoped for more. 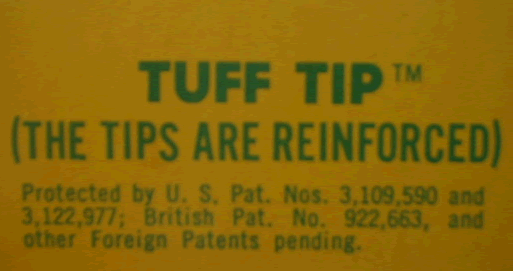 Here's a link to the patent for the Tuff Tip [click the "Images" button on the patent search page to see the actual patent]. But the real kicker for me was learning that the Safe-T Pacific Company was based in Redwood City, my home town! 2500 Middlefield Road to be exact. I'd never noticed that little detail, right on the Scoopy's Straws box.